Sidharth Malhotra, who was last seen in Aiyaary, is all set to portray Kargil martyr Vikram Batra in his upcoming movie. While the actor is elated to be a part of the project, Sidharth has admitted to be quite nervour to play Batra on the big screen. 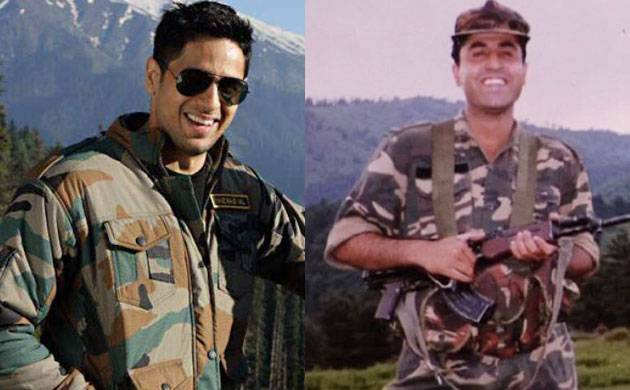 Sidharth Malhotra, who was last seen in Aiyaary, is all set to portray Kargil martyr Vikram Batra in his upcoming movie. While the actor is elated to be a part of the project, Sidharth has admitted to be quite nervous to play Batra on the big screen. Talking about the same, the actor said that he wants to do justice to the role and live up to the idea of what Captain Batra. "Movies have a great impact, they live for long. There is a pressure of living up to the idea of what their son has done. That is why we are taking more time to start the film. We want to work properly on the story. It is not a fictitious story that I want to jump into it. I hope whenever the film comes out the family is happy and proud," Sidharth was quoted as saying. Notably, this will be Sidharth Malhtora's first biopic and the actor is quite excited about it. The media reports suggest that the actor will be seen playing double role in the movie. "This is my first biopic and I am super excited for it. He has a brother but the film is predominately about Captain Vikram. We are planning how to cleverly deal with it (double roles). He impacted so many people in the Army. "I won't say he is a personality that everybody knows but I felt it was a story that needed to be told. I found his story fascinating," Sidharth added. Reportedly, the Ek Villain actor has begun preparing for the role and the movie is likely to hit the floors this summer. "I have started training in a way by going to border areas, meeting BSF jawans, seeing their lifestyle, discipline and training. So in my own head the little bit of homework has started by observing people," he said.